Supernatural Animation – Conductor or Resistor? An analogy from electricity can help us think about our response to God. We live in a spiritually charged universe. The flow of the Holy Spirit is all around us. We did not invent it, but it has now become fully available. When Jesus uttered today’s Key Bible Verse, John’s gospel explains that Jesus was talking about the Spirit. We do not have much power in our wills, but we can choose whether we will be resistors or conductors. And our prayer will be answered. My Response: Do I lean toward cautious reluctance or joyful surrender? Prayer for the Week: You designed me, Lord. 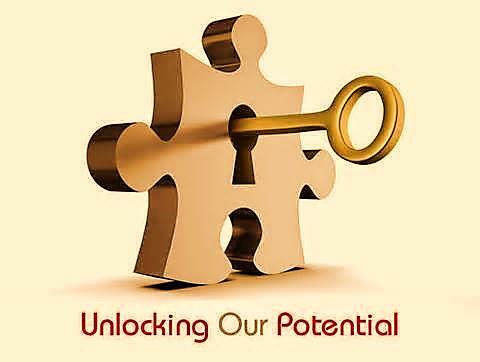 Show me how my potential can be fully harnessed for Your kingdom. Brian had a passion for Christian camps, but our association had no camping program. As Brian shared his burden with our church, others sensed God speaking. With them and others from our sister churches, Brian organized our first children’s camp. It was a tremendous success! The volunteers served as counselors, cooks, and nurses, and came back exuberant about how God had worked. Later God brought another Brian to our church. His passion was barefoot waterskiing! Only God, I thought, can take a passion like that and use it for His kingdom! But God did. Our children’s camp was held at the lake where this Brian had a cabin. During camp week he brought his ski boat to the camp and with some friends gave a barefoot water-ski demonstration. Then he gave lessons to the kids. It was the highlight of the week! While teaching the kids how to ski, Brian discovered that he was good at working with kids. When he returned home, Brian volunteered to be a children’s Sunday school teacher. He became popular with the kids and was used by God to bless our church. My Response: I’ll ask God to show me how He could use a skill of mine. [continued from yesterday] Mission field? Rich chuckled. What work of God needs a whiz at budgets and flow charts? World Vision. They called in 1998: Would you become our CEO? Rich knew this ministry championed the cause of the poor. But why did they want him to take a 75 percent pay cut to head, not a business, but a ministry? He declined. World Vision persisted, persuading Rich to take a day-long skills inventory. The results convinced its board that Rich was made for the job. “This is a chance to marry your gifts with God’s call,” urged board member Bill Hybels. “When you do that, you enter the zone in which you were made to live.” Rich prayed—and took the leap, swapping porcelain sales for relief efforts, marketing meetings for strategy sessions on AIDS. World Vision has no regrets either. In Rich’s first six years, its annual budget jumped from $350- to $807 million, making it the largest relief organization ever. Now the underdog from Syracuse helps the world’s underdogs—and loves every minute. My Response: How may fulfillment be different from fun? Ten-year-old Rich trembled as his parents yelled in the next room. Father drinking again. Never enough money or work. My parents can’t help me, he realized. I’ve got to make it on my own. Education would be his bus ticket out of scarcity. A scholarship got him to Cornell; hard work made the grades. Rich recruited a ragtag team of students like himself to play volleyball. They trounced the prestigious frat squads! My Response: I’ll make time to review what my passion is. Here is a thought-provoking article by Jonathan Merritt from the November 25 issue of The Atlantic describing how many religious communities are facing a choice: Sell off the buildings they can no longer afford, or find a way to fill them with new uses. After reading the article, what is your personal response? When was the last time you attended Sunday worship or participated in the life and ministry of your local Church? Many of our nation’s churches can no longer afford to maintain their structures—6,000 to 10,000 churches die each yearin America—and that number will likely grow. Though more than 70 percent of our citizens still claim to be Christian, congregational participation is less central to many Americans’ faith than it once was. Most denominations are decliningas a share of the overall population, and donations to congregations have been fallingfor decades. Meanwhile, religiously unaffiliated Americans, nicknamed the “nones,” are growingas a share of the U.S. population. After St. Augustine’s Church in South Boston was abandoned, the developer, Bruce Daniel, encountered a number of unforeseen difficulties. Demolishing the 140-year-old building and starting from scratch was the most economical option, but sentimental neighbors’ protests forced Daniel to retrofit the existing building into condos. Many local residents remain unsatisfied with the compromise. When St. Francis de Sales Church in Troy, New York, closed in 2009, it was convertedinto a fraternity house for the Phi Sigma Kappa chapter at Rensselaer Polytechnic Institute. A communal symbol that once served as a beacon of hope and welcome now seems like little more than an emblem of American youthful superficiality. Imagine the emotional impact of driving past the place of your mother’s baptism only to see frat boys stumbling down the front steps. To test their idea, Duggins and Heath approached the pastor of White Rock United Methodist Church in Dallas about collaborating. Half a century ago, it was a massive congregation with robust weekly programming, a strong reputation in the community, and a 60,000-square-foot building. But the neighborhood’s demographics shifted in recent years, and church membership waned. Its combination of sprawling space and shrinking attendance made White Rock the perfect guinea pig for Duggins and Heath’s experiments. Missional Wisdom moved into the bottom 15,000 square feet of White Rock’s building and got to work. It converted the fellowship hall into a co-working space and transformed Sunday school rooms into a workshop for local artisans, including a florist and a stained-glass-window artist. It formed an economic empowerment center, where the group teaches a local population of African refugees language and business skills. And it finished out the space with a yoga studio and a community dance studio. Today, the church building is bustling most days, and the congregation is both covering expenses and generating revenue from its profit-sharing agreement with Missional Wisdom. Next, the Missional Wisdom team partnered with Bethesda United Methodist Church in Asheville, North Carolina—a congregation with challenges similar to White Rock’s. Together, they created a community center called Haw Creek Commons. In addition to co-working space, they retrofitted the building with a textile and woodworking shop, meeting rooms that are used by local business and AA groups, a retreat space that can sleep up to nine, and a commercial kitchen in the basement for local bakers and chefs. Outside, Missional Wisdom constructed a community garden, food forest, beehives for the Haw Creek Bee Club, a greenhouse, and a playground for the children who attend the school next door. Duggins said that the goal of these two experiments was simply to create opportunities and space for the community to gather and connect with one another. But as with White Rock, Haw Creek Commons has had residual positive effects on its host congregation. “We wanted to transform the church into a place that would draw people who might not otherwise come, and in Asheville, we’ve seen it break down stereotypes of what the church is,” Duggins said. “At Bethesda, there were less than 10 people in the church on a given Sunday, but now there are more than 50.” Multipurpose spaces lower the barriers to entry. When someone using a co-working space experiences a personal crisis, they have a comfortable place to turn to. This relatively small organization can only do so much to turn the tide of congregational death in America. Missional Wisdom has shifted its focus from one-off projects to publishing books, conducting seminars, and consulting with struggling churches. They hope that these resources will be helpful to America’s flailing congregations who are forced to choose between evacuation and innovation. The latter may be the harder road to travel, but many faithful will find it preferable to watching their childhood church converted into luxury lofts. Join us this Advent Season at Central United Methodist Church. Our Sunday morning worship services begin at 11 am. 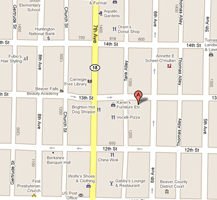 Sunday School begins at 10 am. Delivering an election-winning speech to the high school freshman class. Neglecting other homework to write and rewrite short stories for a literature course. Presenting my first Bible lesson. Stunned that the middle schoolers listened. “Message,” I replied without hesitation. “Does your calendar reflect your passion?” he asked. We reviewed six months of meetings, fund-raising, and facility development. “Seems like you are sitting on a lot of planning committees,” he observed. My exhaustion made sudden sense. I was operating out of my weakness, doing the most what I do the worst! My Response: Am I neglecting my strengths? Lee Strobel grew up in a Christian home, but turned atheist after encountering evolution in high school. He studied journalism and law, becoming an investigative reporter, then legal affairs editor at the Chicago Tribune. A chance news assignment renewed his interest in God. After a nearly two-year investigation of the evidence for Jesus, Strobel received Christ as his forgiver and leader. Here he shares what nudged him to a new role as an author and teacher of apologetics. One day, out of nowhere, my boss at the newspaper asked me why I was a Christian. I’d never explained that to anybody. But I closed his office door and talked for 45 minutes about the difference Jesus was making in my life and what it means to become His follower. When I emerged from his office, it was as if my entire life up until that meeting had been a movie shot in very grainy black-and-white film with scratchy sound—but this 45 minutes had been in bright, vivid Technicolor with rich Dolby stereo! Instantly I knew that from that day forward I wanted to develop and deploy my evangelism gift in any way I could. There’s a unique sense of fulfillment that comes when we submit our gifts to God’s use and ask him to energize them in a supernatural way—and then step back to watch what He does. It can be the difference between merely existing in black and white and living a life in full, brilliant color. Are you practicing Thanksgiving authentically? We’re just days away. Thanksgiving really does come before Christmas, although you wouldn’t know from the jingly commercials on TV. Thanksgiving has sadly become little more than the official start of the holiday season, and that’s a shame. We have so much to be thankful for. Our salvation, grace, mercy, family, friends — the list goes on and on. When it comes to authentic thankfulness, are you practicing it correctly? My love language is words of affirmation. And like all languages from Gary Chapman’s book, “5 Love Languages,” people can use them improperly. When people affirm, thank or try to encourage with words, they assume that almost anything can “work.” However, like all communications, the slightest issue can make your goodwill disingenuous. People have been burned by authenticity issues, sarcasm and the feeling of “being used.” It’s critical to communicate thankfulness properly so people truly feel your gratitude. And I know that’s what you ultimately want since so many people help ministries function properly as the hands and feet of Christ. 1. Don’t have other motives. There are often times when someone pours praise out, waits a few seconds, then asks for something. Let this Thanksgiving be a time to truly voice thankfulness to fellow members of your congregation, friends, and those to whom you minister with absolutely no other motive; just be thankful for them. Maybe even offer them something to reinforce your thankfulness. 2. Speak thankfulness into who someone is and not just what they did. A list of to-do items completed may receive praise, but true thankfulness shows gratitude for who someone has become. It takes more work to discover how to voice this, but that’s exactly why it’s received with greater value. It also reinforces the message of inward change that motivates our outward service. The few words said following these traits will linger in someone’s heart much longer than a quick thank you. This week, think of several people who truly deserve some encouragement, and you become the messenger. You’ll be glad you did. Want even more impact? Write a shorthand note and drop it in the mail to them. It’s truly worth the price of the stamp. Here is a thoughtful reflection by Anne Kennedy on the best way we can be thankful. I don’t know about you, but inevitably, in the mad dash from Thanksgiving to Christmas, and from thence to Easter, I become entangled in the law. Surely you must know about the law. It comprises various rules and regulations sometimes known and articulated explicitly, but more usually hiding in every corner ready to pop out at you and smack you as you walk by. The law can start with words like ‘Don’t’ or ‘You Shall’ but very often it devolves into the smaller and more nasty phrase ‘I have to,’ and ends with deep feelings of frustration and regret. We human people like laws, even when we say we don’t. I don’t mean the baldly stated ones, the ones printed clearly on the page, or demarcating the road and how fast to go down it, or anything that limits one’s behavior in the moment. If I feel like doing something, I should be allowed to do it. Which sounds like freedom, except that my feelings have essentially transmogrified themselves into the very law I thought I was attempting to get away from. The best kind of laws, the most pleasurable to live by, are those that we secretly make for ourselves and others. The ones driven by private, hidden expectation, by a desire known only to the one wielding the power. These laws are made and applied to ourselves and others without the hassle of having to pause and think about what we’re doing, and what will happen when we fail and other people fail and the whole world fails. These are best and most precious when they are never spoken, never given the scrutiny of light or air. The first time I noticed these kinds of laws was several years ago when I kept running into the word ‘grace’ in various blog posts around the inter webs. I couldn’t figure out what was wrong with this nice biblical word, but after much consideration and gnashing of teeth, I concluded that the word grace was being used as if it itself were a part of the law. It was always joined with the words, ‘you need to’ or ‘we need to.’ The posts were always titled stuff like Homeschooling with Grace or Laundry and Grace. When you come to words like ‘grateful’ and ‘thankful’ it can be even worse. The law of thankfulness, which surely must be the antidote to all your sinning, provides the daily, weekly, and monthly opportunity for you to fail even further. Because now, on top of everything else, you can feel guilty not just about your behavior, but also about your attitude. But then one day you pull yourself up by your bootstraps, develop the perfect system, market it on the internet to other failing mothers, and Voila! Your way is made. You have ascended to the heights and can bask in the misery of all your fellow creatures. The problem is, the antidote for your failure to keep the law isn’t to try to follow another law. When you sin, the last thing you need to do is just try harder, digging yourself single handedly out of the depths by working really hard to undo the effects of your failure. If you commit murder, you can’t raise the dead, or just make it better by just not murdering any more. You need outside help. You need someone who has the power to forgive you and then to alter the nature of your very person so that you don’t do it any more. And also to raise the dead. Murder is obvious though. What happens when you inadvertently offend Great Aunt Euodia? She has a secret law written on her heart and there’s no way she is ever going to tell you about it. And when you break it, even if you apologize and seek some kind of restorative action, she will never forgive you. Or worse yet, what if you come to mid December and discover that somehow, without trying, you believed of yourself that you would personally carve tiny nativity scenes out of the sorrow of the earth with your bare hands for all the children of the world, and here you are on the first figure of the first set, and there’s no way you’re going to be able to do it. You look out over all the piles of dust and feel like you can never forgive yourself, and all the children of the world will starve and die because of you. The solution in that case is not to add another law, to transfer all your miserable expectations into the perfect Christmas center piece. Giving thanks can be just another opportunity to make and break another law. You better be thankful! And extend grace! And be gracious! And have an attitude of gratitude! You lather your efforts at thankfulness all over the piles of broken law, both the real ones that Jesus gives, and all the dumb ones that you make for yourself. It’s like the crowning cupcake in the faltering tower of Pinterest failure. Then you go hide, or just stuff all the misery into a cupboard, letting it sit and fester so that you can pull it out and try it again next year. No, gratitude isn’t the antidote to sin. It’s not the way to fix that problem. Jesus is. When you do something wrong and terrible, something that you can’t undo, however small or however big, when you go to him and give it to him, he has the power to forgive you, having purchased that power at the cross, and then to undo the effects and troubles wrought by that sin. And honestly, the more time you spend considering who he is (mainly by reading the Bible, as I have mentioned before) the clearer you’ll be about what is actually sinning, and what is you just holding yourself to an impossible and ridiculous standard of your own making. Then you can be grateful–not conjuring it up to save yourself and the world and your hopes–but relishing it for the gift that it is. Indeed, all the things that God commands you to have and to be–patient, kind, long suffering, prudent, joyful, forgiving, grateful–he will give you without you having to anxiously strive. You just have go to him and concentrate on his person. You feel like you’re working really hard, and you are, but then you look up from your pie crust, or your vat of safely boiling oil, having gently lowered your turkey into its dark depths, and discover that Jesus gave you freely the thing you’d been striving so hard to hard to attain on your own. As a gift. A gracious one that you didn’t deserve. You can just have it and enjoy it, waving your cheerful surgery fingers at Great Aunt Euodia struggling into her coat, sending her on her way with her laws and offenses, tucking her expectations into her purse when she isn’t looking and sending them out the door with her. In fact, do the same with yours. Shove them in a bin as the week is beginning. It’ll make it easier to be thankful as the days go by and work mounts up. Thanksgiving is definitely one of my favorite holidays, especially considering the five “f’s” it includes: faith, family, food, football, and the four-day weekend. As far as I’m concerned, that’s a tough combination to beat. And talk about positive and upbeat! Pausing to express gratitude for one’s blessings breathes life into anyone’s soul. Even in times of trial and heartache, when it’s most difficult to see life’s glass as half full instead of half empty, stopping to give thanks makes a difference. Thanksgiving’s such a great holiday—it’s a shame we celebrate it only once a year. Maybe we should change that fact. Consider again Paul’s words in today’s Key Bible Verse: I see the phrase “with thanksgiving” as a secret that Paul has learned, enabling him to find contentment in spite of his circumstances. Thanksgiving is a critical ingredient. When we humbly bring ourselves and our requests before God (supplication), we should do that “with thanksgiving.” What a privilege to be able to bring our requests to him, and what a benefit to know that he’ll answer in a way and in a time that are perfect for us. These truths provide us with good reason to give thanks. My Response: During my prayer times over the next several days, I will consciously thank God for at least one blessing in my life. Adapted from Unexplainable (Cook, 2009). Thanksgiving Prayer: Dear heavenly Father, thank you for providing for my daily needs; help me to find my contentment in you and you alone, so that I might experience the kind of peace that’s unexplainable apart from you. In September 1975, I left California to enter college in Massachusetts. For the next 75 days, I lived in a freshman dorm, a rather Spartan existence, but not an unpleasant one. Since I couldn’t afford to go home for Thanksgiving, I traveled by bus to central Connecticut to join some family friends for the holiday. On Thanksgiving Eve, as I retired to my room, I slipped off my shoes and socks to unpack my bags. I felt the carpet under my bare feet, enjoying the softness and the feel of the threads between my toes. Suddenly it dawned on me that I hadn’t felt a carpet like this since I’d left home. For two-and-a-half months, I’d felt only dusty linoleum underneath my bare feet. But now, in a real home, I delighted in the sumptuousness of wall-to-wall carpet. I had grown up in a home with carpet—bronze shag, to be exact. But I had never appreciated the feel of carpet beneath my feet until that moment. How could something so ordinary feel so enjoyable? I wondered what else I’d been taking for granted. That weekend in Connecticut added several other items to my list of newly discovered appreciation, including ceramic mugs, quiet nights, and a bathroom heater. Prayer for the Week: Move me, Lord, beyond appreciation for desires granted to gratitude for all Your wisdom allows. Serving others is one way to celebrate your gratitude, as the youth from Centenary United Methodist Church in Los Angeles, California do every Thanksgiving. Thanksgiving Day elicits a bounty of wonderful memories for many people in the U.S. The crisp air. The smell of a turkey roasting and a pumpkin pie baking. The sound of a cheering crowd at a football game. All these can create warm feelings during this special time of year. 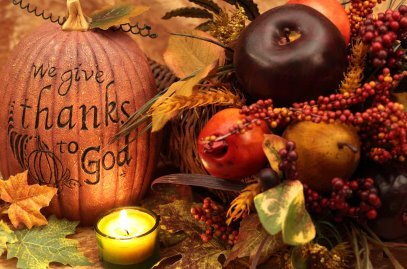 While the Thanksgiving holiday is celebrated on the fourth Thursday in November in the U.S., thanking God for our blessings is a spiritual discipline that should not be limited to a single day. Along with expanding our waistlines, our preparation for and celebration of the holiday can be the impetus toward growing an attitude of gratitude that will carry over into the rest of the year. In his commentary on 1 Thessalonians 5:16-18, John Wesley writes, “Thanksgiving is inseparable from true prayer; it is almost essentially connected with it.” Giving thanks is as essential to our spiritual growth as prayer, which 1 Thessalonians calls us to do continually. These creative ideas will help us get started this Thanksgiving. Fill a family Thanksgiving box. As part of your Thanksgiving preparation, create a Thanksgiving Box. Each day family members write on slips of paper something for which they are thankful that day and place them in the decorated box. The box will make a nice Thanksgiving table centerpiece, and when opened, a way to remember how blessed we are every day. You could add to it all year too of course. Serve someone. In the weeks leading up to Thanksgiving, many agencies serving those in need expand their work. Food banks, churches, and other service organizations supply meals to the hungry on Thanksgiving. 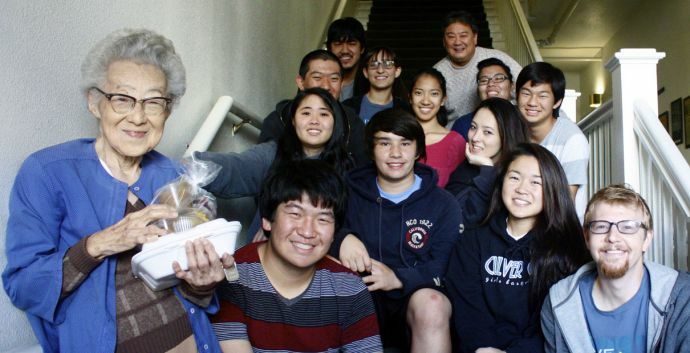 Centenary United Methodist Church in Los Angeles holds a sleepover for their youth called the “turkey lock-in.” On the night before Thanksgiving the youth prepare, and the next day, deliver meals to people in the community who will be alone on Thanksgiving. Ask your pastor for suggestions of places near you to serve or donate. Take time for quiet reflection. As the big day approaches, things get busier. Set aside some time each day to say thank you to God for all he has provided. “A Morning Prayer of Thanksgiving” by The Rev. Dr. LaGretta Bjorn is a great start. Make a Thanksgiving frame. As you and your family reflect on those things for which you are thankful, compile a list. 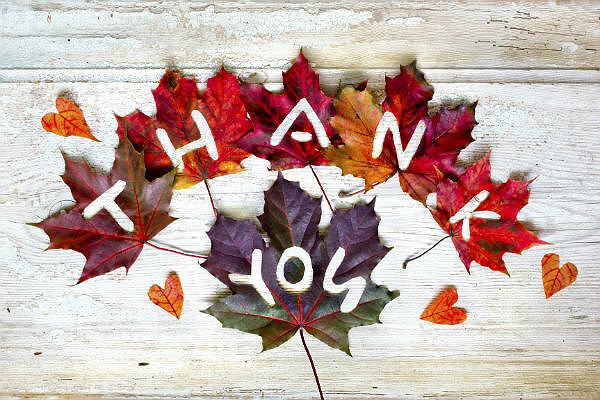 A few days before Thanksgiving, neatly transfer the list onto a piece of paper you can then insert into a frame for a beautiful expression of gratitude to decorate your home. Invite someone new to dinner. Athens First United Methodist Church invites international students from the University of Georgia to spend Thanksgiving with their members. The students enjoy spending time away from campus and in family homes. Explore ways to invite those who may be alone or far from family to celebrate with you on the holiday. Send cards to those we miss. Remember those who are not able to be with you this year by making or purchasing cards for them. “On Thanksgiving Day,” Norton writes, “invite all who are gathered in your home to sign and/or write a note on the cards to those who are missing.” Mail them the next day to share the gratitude. Create a keepsake of thanks. When you take that group photo around the table or in front of the fireplace, record not only the names of those in attendance, but also something for which each person is thankful. This will be a great item to revisit when everyone gathers again next year. See Thanksgiving Celebrations for the Home for more ideas of celebrating gratitude together. Include children. 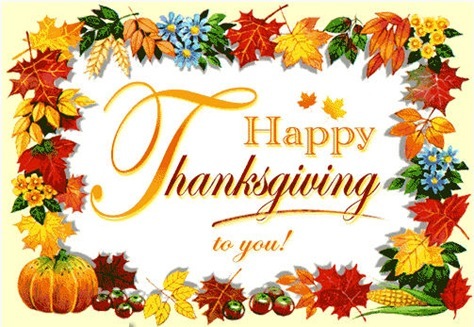 Involve the children celebrating with you by sharing the Child’s Thanksgiving Prayer. Use this prayer at the kids’ table as a grace or an after meal blessing, having one of the older children lead. Then encourage the kids to write their own Thanksgiving prayers, with which they could lead the adults in prayer later in the day. Voice your gratitude. If your family is musical, consider a Thanksgiving sing-a-long, as you might do with Christmas carols. Dean McIntyre offers Hymns for Thanksgiving Day from our United Methodist Hymnal and Songbooks that would be a great way to celebrate. He also offers a quiz of hymns with lines about thanksgiving in Musical Thanksgiving. Make a game out of who can guess the most. However you can, find ways to give thanks to God for all of his blessings throughout your celebration this year. Instill the habit of an attitude of gratitude, which will extend far beyond Thanksgiving Day. On the fourth Thursday of this month citizens of the United States will celebrate the much-beloved holiday of Thanksgiving. It’s supposed to be an occasion for grateful reflection upon how blessed we are as a people, but how many American Christians, let alone Americans in general, understand the true origin and meaning of this annual day on the calendar? The majority of Americans, which likely includes a large number of Christians, may well think the origin of the celebration of Thanksgiving is all about the first pilgrims to the New World (later to be named America) celebrating that they had arrived safely here. While that may be a worthy reason, it’s not the real the story. Had it not been for the grace of God providing help for them through the gracious contributions of the indigenous people living around them they all might have died. As it was, a sizable number of their small community had died from illness anyway during that difficult first winter. Therefore, after harvesting a bountiful crop of various produce and getting better established in their new homeland during the next year, the pilgrims felt especially grateful to God for their survival. Because they were all very devout Christians, setting aside a feast day to thank God for His goodness was a natural expression of their gratitude. However, it would be 168 years later on November 26, 1789, before George Washington proclaimed it as a national day of observance for the new nation. President Lincoln made it an annual observance beginning on the last Thursday of November in 1863, but to support retailers by extending the shopping season between Thanksgiving and Christmas, President Franklin Roosevelt changed the annual date to the fourth Thursday in November in 1939, and it has remained unchanged from that date since then. In America’s politically correct educational environment today where anything even hinting at Christian influence in America’s past or present is eschewed by the anti-Christian establishment, precious few people (including Christians) have even the slightest idea of America’s Christian heritage. In fact, the day may come in the not-too-distant future when writing or hosting these facts may be forbidden and even dangerous. So-called “hate speech” laws have already been enacted around the world in parts of Europe, Canada and even America prohibiting critical speech against certain groups such as homosexuals and Muslims which may be labeled as hate speech. Unfortunately, the definition of “hate” by these laws is so ambiguous that anything negative may be identified as hateful, thus putting Bible-believing Christians, in particular, in a very precarious position. Simply quoting the Bible’s statements against homosexuality or pointing out the moral and theological inconsistencies of Islam with Biblical Christianity (such as loving your enemies and rejecting both murder and vengeance) can bring on the wrath of either of these constituencies or their various sympathizers. It appears that it’s socially sanctioned for anyone in either of these groups to blaspheme God or Jesus’ saving work or to spew hate-filled epithets at Bible-believing Christians, but it’s not allowed for Christians to espouse their strong beliefs in the Bible as God’s final Word on anything. Maybe we American Christians had better be especially thankful to God for our dearly-held freedoms of speech and religion as we observe this year’s Thanksgiving Day, since we have no real assurance that we will still have these same freedoms in the future. What about you? What do you have to be thankful for, and have you taken the opportunity to thank God both in prayer and in an open pronouncement to others for His goodness to you? Expressing gratitude is very important to God, as we can learn from a careful reading of His holy Word. One excellent example is the story of Jesus’ healing of the ten lepers which prompted the thankful response from the apparently lone Samaritan in the group (see Luke 17:11-19). 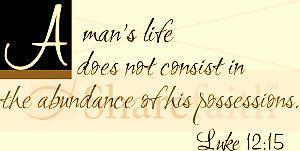 To quote another of Jesus’ statements in another context – “Go and do likewise” (Luke 10:37 NKJV). Thanksgiving is one of the great holidays we have to celebrate. It is all about giving. It is simply about giving thanks. What are you thankful for this holiday? A warm house – there are many out there that are cold. How can you help someone stay warm on a cold day. How can you help feed some one else? The great thing is so many are reaching out to help this holiday season to make a great meal for those who otherwise could not enjoy it. How can you help someone who is all alone this holiday season? Just being a friend, reaching out a hand of friendship. Let’s be thankful this holiday season both for what we have and for the ability to help others. What are the origins of Thanksgiving? I’d stuffed many a turkey before I really understood Thanksgiving. Oh sure, I knew we were supposed to be thankful, and once I became a Christian I knew who we were thanking. But the Thanksgiving story is more than just the tale of Pilgrims and Indians. It’s a portrait of God’s hand in bringing people together to accomplish a specific purpose. In the early 1600s the Wampanoag (Wam-pa-NO-ag) Native Americans inhabited the coast of what we now call New England. They raised crops, lived close to the ocean in summer for seafood, and moved inland in winter to set up hunting camps. Their encounters with Europeans over the years were mostly friendly. But there was one exception: In 1614 Captain Thomas Hunt captured several Wampanoag, along with a Patuxet Native American named Squanto, to be sold into slavery in Spain. A Spanish monk purchased Squanto’s freedom, taught him Spanish, introduced him to Jesus Christ and sent him to England. In 1619, Squanto returned to his native land, only to find that his tribe had been wiped out by an epidemic. Thereafter he made his home with the Wampanoag. Meanwhile, in 1608, a British group called Separatists fled to Leyden, Holland. There they found religious freedom, but also poverty, grueling work hours, and a secular culture that threatened to undo the values they had carefully instilled in their children. In 1620, they sold all their belongings to help finance their journey to America. On the Mayflower’s voyage, the Separatists were joined by another group of people bound for America. They called these people Strangers. The two groups, 102 people altogether, were called Pilgrims. Their journey lasted nine weeks. In one of those divine “accidents” that change the course of history, the ship lost its course and landed far north of its destination at what we now know as Cape Cod, Massachusetts. Once outside the territory covered by the King’s Charter, the Pilgrims became responsible for their own government, and so they wrote a set of laws called The Mayflower Compact. On December 21, 1620, they began their new life at the place they named Plymouth. The winter was devastating. Wind whipped through their settlement and sleet and snow chilled them to the bone. Half of the Pilgrims died. But the Separatists clung to their faith; not one person chose to return to England when the Mayflower made her return voyage. Spring brought unexpected relief—the help of Squanto. He taught them how to grow corn, use fertilizer, stalk deer, and catch fish. William Bradford, the governor of Plymouth, wrote that Squanto was “a special instrument sent of God for good beyond our expectations.” And so their first harvest was good. Governor Bradford proclaimed a day of thanksgiving to God, and the Pilgrims invited their Native American friends. Chief Massasoit and 90 members of his tribe came, along with Squanto, bearing venison and wild turkeys for everyone to share. Both groups feasted, played games, ran races, and showed their prowess with bows and arrows and muskets. With so much to be grateful for, the Pilgrims celebrated that first Thanksgiving for three days! Adapted from “Let’s Talk Turkey,” by Barbara Curtis, Kyria.com. Click here to read the original article in its entirety. When David wrote this psalm, his courageous slaying of Goliath was a distant memory. That victory aroused King Saul’s jealousy, and he’d deliberately placed David in harm’s way. When that failed, he ordered his capture. So David, on the run, escaped into the Philistine territory of Gath for sanctuary (see 1 Samuel 21:10-15). But King Achish’s officers were suspicious. So, in a desperate ploy to save his skin, our hero stooped to faking insanity. Viewed from ground level (vv. 1-2, 5-6), how grim is David’s situation? What is David’s natural reaction to this (v. 3)? What is David’s gut-level reaction (v. 7) to his enemies’ treachery? How would David’s previous experience (v. 13a) bolster trust now? How does David say he’ll respond (v. 12) to the Lord’s past protection? Does David see God as remote or uncaring (v. 8)? What is his basis (vv. 4, 11) for shaking off fear? How confident is he (v. 9) of God’s future protection? What stance (v. 13b) does David’s God-is-on-my-side review lead him to? Spend Time in Prayer: Ask God for a growing freedom from your fears as you verify God’s ability to shield you from harm. 1 O God, have mercy on me. The enemy troops press in on me. My foes attack me all day long. 2 My slanderers hound me constantly, and many are boldly attacking me. 3 But when I am afraid, I put my trust in you. 4 O God, I praise your word. I trust in God, so why should I be afraid? What can mere mortals do to me? 5 They are always twisting what I say; they spend their days plotting ways to harm me. 6 They come together to spy on me— watching my every step, eager to kill me. 7 Don’t let them get away with their wickedness; in your anger, O God, throw them to the ground. 8 You keep track of all my sorrows. You have collected all my tears in your bottle. You have recorded each one in your book. 9 On the very day I call to you for help, my enemies will retreat. This I know: God is on my side. 10 O God, I praise your word. Yes, LORD, I praise your word. 11 I trust in God, so why should I be afraid? What can mere mortals do to me? 12 I will fulfill my vows to you, O God, and offer a sacrifice of thanks for your help. 13 For you have rescued me from death; you have kept my feet from slipping. So now I can walk in your presence, O God, in your life-giving light. Prayer for the Week: Heavenly Father, You know what I fear. Help me to give you that fear today. May I rest in your peace and strength no matter what happens. Scared and intimidated by the fear of man, I took a long pause as I considered what to say. The judge waited for my answer. The video cameras also waited. I knew that this judge had the power to order my execution right then and there. I knew that he might do just that if I answered honestly. But I also knew I had to tell the truth about why I came to Iran. As I opened my mouth, the truth is I struggled to speak and was much afraid. God gave me strength to share my heart. The more I shared my faith, the bolder I became, and the less my fears beset me. I am a wimp when it comes to the dentist. The word macho is nowhere in my vocabulary or personality when I walk into the dentist’s office and settle myself into his chair. You’ve heard stories of guys telling the dentist, “No pain medication, Doc. Just go ahead and drill.” That’s not me! I ask for everything possible to keep me from feeling any nerve twinges. I’ve faced down a drunk who was threatening to kill his family, offering myself as a substitute hostage. I’ve sat with a potential suicide victim as he waved his gun around, saying he’d take me with him. But when the dentist’s drill starts toward my mouth, sweat breaks out. Of what—or whom—are you afraid? Maybe you can face a hostile situation without fear, but wondering what will happen to your children as they grow older keeps you awake at night. Perhaps the state of your marriage paralyzes you emotionally and keeps you from trusting in God as you should. The Lord knows the situation you’re facing right now. He promises to give you both the wisdom and the strength to make it through your trials. 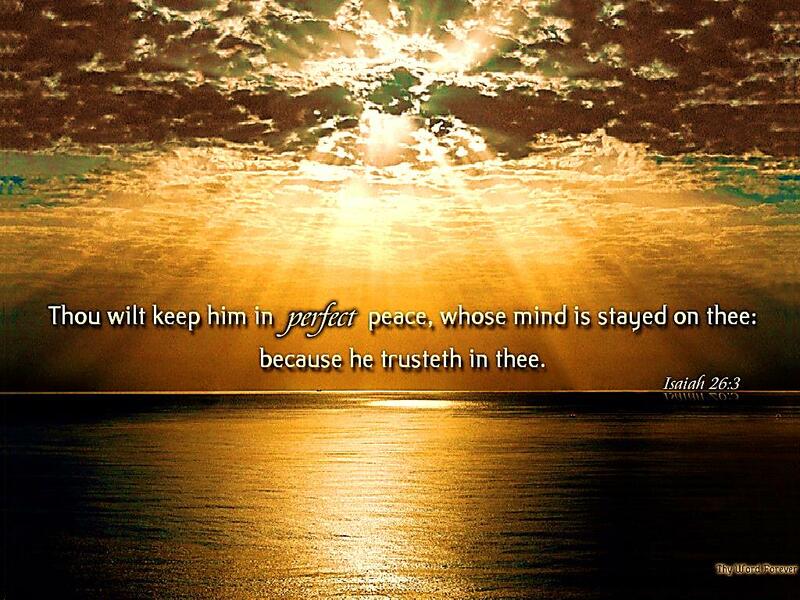 And in the middle of those trials, God also promises to give you his peace. My Response: I’ll memorize today’s Key Bible Verse—and repeat it as needed. “What about the rest of you?” I asked. “What about under your skin?” I asked. My Response: What circumstance beyond my control is testing my trust in God? The four brown-skinned men of Papua New Guinea’s southern highlands were sick and needed treatment. The small mission clinic at Samberigi was insufficient. And knowing that I was planning to fly my Cessna across the mountains to the north coast, the station nurse asked me to drop these men off along the way. Mendi, a 20-minute flight to the northwest, had a regional hospital. As I fastened their seatbelts, I explained as best I could what they should expect on this short flight. I noticed the deteriorating weather and thought it could be a daunting experience for me, let alone for these warriors who’d grown up in the Stone Age and never flown. Soon after takeoff, rain began to fall and the clouds grew ominous atop the mountain peaks. If I climbed above them, it would be difficult to find a way down again. So I concentrated on threading the inhospitable gray tunnels formed by the narrow valleys. Totally absorbed, I paid no attention to my passengers. As a leadership development consultant, I’ve seen an entire executive committee change strategies based on fear of the competition. I’ve seen a talented salesperson throw away a career because he “fudged” his sales numbers out of fear of not meeting his monthly quota. I’ve seen a marketing executive run around like Henny Penny, screaming “The sky is falling!” every month as the sales deadline approached. At a corporate planning retreat in Detroit that I was facilitating, a board member asked the CEO a challenging, yet fair, question about a past initiative. The CEO paused, reached down into his briefcase, took out an extra-large bottle of antacids, twisted the cap off, tilted his head back, and downed Tums like a cold glass of water on a hot summer day. He crunched away at a mouthful of the chalky tablets, took a sip of water, and then calmly answered the board member’s question. He went through the same process four of five times that day. And he didn’t even notice how ridiculous he looked because it was a normal daily occurrence! This guy had accepted that fear, worry, and heartburn were parts of his job description. My Response: Is fear a factor for others where I work? For me? John Ortberg is a teaching pastor at Menlo Park Presbyterian Church in Menlo Park, California. His teaching brings Scripture alive and invariably includes practical applications and warm humor. Earlier he pastored a church in Southern California, then for several years he filled a teaching role at Willow Creek Community Church in South Barrington, Illinois. John has written several books. The latest is God Is Closer Than You Think. He and Nancy have three teenage children. A friend asked me a question about an area in my life for which the true answer would have been embarrassing, and I didn’t want to be embarrassed. So I just lied. I had to go back and do repair work that was very painful for me. When I look back on it, I wonder, Why did I lie? Why do I ever lie? Usually to avoid pain. I’m afraid of what will happen if I tell the truth. Fear prompts me to lie. And it’s not just deceit. When people are gossiping, I join in even though I know it’s wrong because I’m afraid of being left out. I hoard possessions because I’m afraid I’ll be bored or insecure if I don’t have a lot of stuff. I flatter someone because I’m afraid he or she won’t like me if I don’t. Look at most sin and underneath it you’ll find fear. I’m afraid that if I risk obeying God, He won’t take care of me. I won’t be all right and something will happen that I can’t handle. From start to finish, the thrust of Jesus’ Sermon on the Mount was that God’s way of living contradicts the world’s way. If you want to live for God, He warned, you must be ready to say and do what seems strange to the world. His first-century words about what people work for read as if they were specifically spoken for the benefit of our consumer-driven age. What is the answer to Jesus’ question in verse 25b? What else is there? Why don’t we need to be preoccupied by these things, according to verses 26-30? What are typical “treasures” for upwardly mobile people in our society? Why did Jesus say that majoring on accumulating these things is a mistake? Verse 21 says that our thoughts will gravitate toward whatever our treasure is. How can we shift our focus, according to verses 20 and 33? What is the divine guarantee (v. 33) for those who make following His will their priority? Spend Time in Prayer: Ask God to help you trust Him for your basic needs and to keep your focus on Kingdom concerns. 19 Don’t store up treasures here on earth, where they can be eaten by moths and get rusty, and where thieves break in and steal. 20 Store your treasures in heaven, where they will never become moth-eaten or rusty and where they will be safe from thieves. 21 Wherever your treasure is, there your heart and thoughts will also be. 25 So I tell you, don’t worry about everyday life—whether you have enough food, drink, and clothes. Doesn’t life consist of more than food and clothing? 31 So don’t worry about having enough food or drink or clothing. 32 Why be like the pagans who are so deeply concerned about these things? Your heavenly Father already knows all your needs, 33 and he will give you all you need from day to day if you live for him and make the Kingdom of God your primary concern. Prayer for the Week: Lord, help me to hold my belongings loosely so that I’m not diverted from Your Kingdom priorities. Recently my adult daughter decided that she was no longer going to play her drum set because she’d acquired other interests. We agreed to get rid of the set since it cluttered our family room. Initially we talked about selling the set, but we decided that we’d take a few days to think about other options. We prayed for inspiration. Eventually we came up with the idea of giving the drums to a percussion student at an inner-city school. I called the school on Friday and told the secretary that we’d like to donate the instruments to a student. She promised to explore the possibilities. That day my daughter and I delivered the set to the school. Initially we thought we were doing a good deed by giving away the drums. We discovered instead that God had called us to be caretakers of His drums. My wife and I enjoy finding ways around the economic pressures of our world. Bargain hunting, using coupons, and looking for deals can help us acquire the things we need without being extravagant. When we were engaged, Christie started looking for a wedding gown. Several of our friends had spent in excess of $1,000 for theirs, but no matter how romantic we felt, we simply couldn’t rationalize such an expenditure for the sake of a six-hour afternoon. We prayed about it, and she went bargain hunting. The end result? A beautiful gown in Filenes’ Basement in Boston for $29. During my seminary days, I needed a suit for leadership in Sunday worship, but I had no suit and little money. Again, we prayed. Then we headed off to a “railroad salvage” warehouse to start shopping. For only $25 I got a Pierre Cardin suit that looked tailored to me and perfectly met my needs. Beat the system. Used cars, discount outlets, buying in volume through cooperatives, and taking the time to research before purchasing can enhance our stewardship and cut back our spending. In the process, we can have fun. Because we’ve lived on a modest income through most of our marriage, my wife wondered out loud one day if she should get a job to ease financial pressures. Yet if she worked even part-time, we realized, we’d pay more income tax and the net financial benefit would be minimal. We reviewed the benefits of Donna remaining a stay-at-home parent. We eat nutritious meals because she invests time in planning and preparing meals. At the same time we save money because she makes time to be an excellent purchaser, not relying on packaged meals or fast food. Her creative gifts are obvious through how she cares for and decorates our home. The greatest advantage has been her availability to our children. She involved them in projects for both work and play when they were younger so that creativity, instead of television, nurtured their development. Though we’re closing in on the empty nest, the kids thrive on knowing that she’s available when one of them needs reassurance, help, or advice. We’re able to plan our schedules without considering another job commitment. And her involvement in teaching small group Bible studies has changed other women’s lives. My Response: Is a second family income required for subsistence or elected to support lifestyle choices? How do you decide what you’ll buy and own? For seven years my wife and I owned a weekend lake house just outside of town. Virtually every Friday afternoon we’d “kidnap” our children and spend the weekend doing country things. When our daughter turned 11, though, her in-town friends became very important to her. We only went to the lake house once that year, so I decided to sell the property to a neighbor who’d expressed an interest in purchasing it. That decision, and similar ones I’ve made since—to not own anything we don’t use on a regular basis—has kept my wife and me lean and responsive to God’s leading in our lives. A neighbor of mine owns a 1957 Chris Craft Sportsman inboard boat. It’s magnificent. He’s completely restored the mahogany to its original luster. I love the throaty purr of its engine when he drives by. Three years ago I told him that I’d be interested if he ever wanted to sell the boat. He recently decided to take me up on that offer. But as we prepared to close the deal, I had second thoughts. I concluded that I shouldn’t buy something just because I can, that denying myself the boat would be a good lesson in self-restraint and personal discipline. My Response: How can I tell whether I own my things or they own me? “When you are my age,” wrote James Michaels in Forbes magazine, “You don’t have to ask: Are Americans really materially better off than they were in the recent past? Those of us born in the 1920s and with vivid memories of the Depression simply know how much better things are today. … If he was fortunate enough to have central heating (less than one third of the population did in 1920), the middle class dad had to pull himself from bed at 4:00 a.m. on cold winter mornings to unbank the furnace and shovel coal; if he overslept, the pipes froze. 80 years ago the typical workweek was at least 60 hours. The leisure industry didn’t exist because no one had leisure. For half of the population, the family toilet was a hole in the backyard. Life expectancy was about 54 years, which was just as well, because there were few pensions beyond what a gold watch may have brought at a pawnshop. My Response: I’ll thank God for the prosperity I enjoy compared to other times and places. Clifford E. Denay Jr. is an outdoorsman who loves running, walking, hiking, bicycling, and kayaking with his wife Jane. They have camped and traveled regularly with their children Nathaniel and Emily, now young adults. Cliff teaches psychology at the community college in Petoskey, Michigan, and also provides its students with mental health counseling. He’s involved in the leadership of his church. I had been out of the real estate market for 17 years. Recently I walked back in—and quickly discovered that you can’t always have what you want. I’m not talking about affordability. Sure, cost is always an issue. But I’m talking about size—the restrictions that developers place on the size of dwellings. I examined the restrictions on the lot we were considering. The homes on either side were big. “This may not be the property for us,” I told our realtor. “How big were you thinking,” she asked. “Small,” I answered. “Smaller than you think.” I sighed. My wife and I are clearly out of step with the times, but in step with Solomon who said, “have the wisdom to show restraint” (Proverbs 23:4, NIV). Neither of us believes that “trophy” homes are a good use of the earth’s resources. It’s hard to think small in a “super-sized” culture. Hard, but not impossible. Problems, like the inheritance dispute brought to Jesus here, were often submitted to rabbis to settle. Jesus’ response to this unnamed questioner sidestepped his surface issue. But it zeroed in on his heart. Similarly, when we bring a problem to God in prayer, instead of providing the surface solution we’ve requested, He may reveal what we need to change. The prosperous farmer of Jesus’ hypothetical illustration was well positioned (v. 19) for retirement. Was this what Jesus was criticizing? What attitude, implied in verse 15b, made this landowner a fool? What, judging from verse 21, was omitted from the farmer’s priorities? How does the advertising industry work at cross-purposes to the admonition of verse 15a? Are you taking Jesus’ warning seriously? Have you found a way to tune out the constant enticements to buy? How can you concentrate more on your relationship with God and on doing His work? Spend Time in Prayer: Ask God to work on your dreams, bringing them into alignment with His “good and pleasing and perfect” will for your life. 16 And he gave an illustration: “A rich man had a fertile farm that produced fine crops. 17 In fact, his barns were full to overflowing. 18 So he said, ‘I know! I’ll tear down my barns and build bigger ones. Then I’ll have room enough to store everything. Prayer for the Week: I realize, Lord, that I can only become a success in Your eyes if I understand what true success looks like. Please show me. They couldn’t have been more than 15 years old, parentless boys in an orphanage outside of Moscow. My traveling companions and I spoke at their assembly. Afterwards several boys challenged us to a soccer match on the snow-crusted field. It was a rousing game. Toward the end, though, I began to push my teammates. I didn’t want just to play; I wanted to win. I goaded them on, and even got a bit rough in my play. That evening one of my friends called me on it. “What were we there for?” he asked. “It seemed like you were more fixed on winning a game than on connecting with the kids or caring for them.” He was right. Our purpose for visiting the orphanage was to show love to the children there. But caught up in the game, my actions were guided by an entirely different goal. I articulate Jesus’ definition of success (“Whoever wants to be a leader among you must be your servant”) to myself. But then, more often than I’d like to admit, I get caught up in the game and indulge in silliness like this—not so much in sports now, but in regards to career, financial resources, or reputation. That’s why I must consistently take time to question myself and refocus, and to be accountable to others pursuing a similar path. My Response: How can I stay focused on what’s really important? Hmmm. That’s all well and good, but what about the successes along the way? What about the relationships that he could enjoy, the people he could help, the honor he could bring to God by being a good man instead of just being a good athlete? We’re not in control of the outcome; God is. So why do we base our success on something that isn’t in our control? Why do we allow some other person to dictate our success? Why do we allow some goal to determine our joy? Unless we surrender the outcome to God, the goal will become our god, and we will bow down to that. God designed you to live fully and to celebrate life regardless of your circumstances. 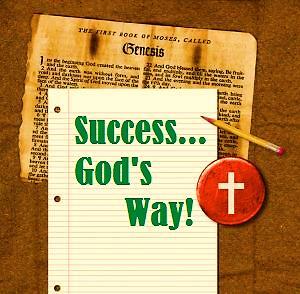 Part of success is surrendering the outcome to God and being content that God has you exactly where He wants you. My Response: How could I focus less on career goals and, instead, celebrate more little successes along the way?